Did You Notice? … The eerie silence surrounding NASCAR’s executive offices right now? 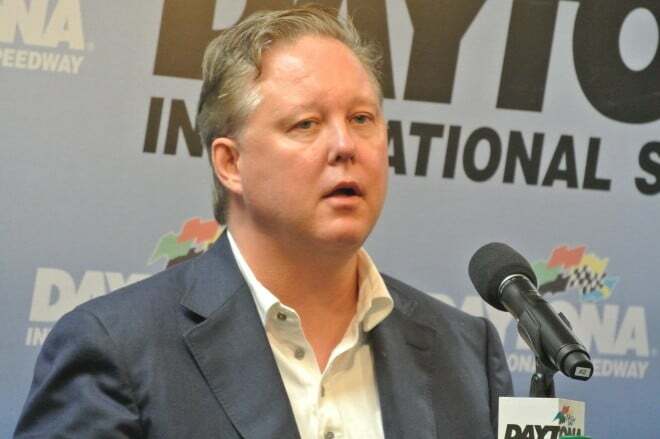 36 hours after NASCAR Chairman and CEO Brian France announced a leave of absence, there’s nothing official to digest other than a tersely worded, two-line statement installing Jim France as the sport’s interim CEO. Driving under the influence and possession of a controlled substance will leave nephew Brian seeking rehab, first for his physical addiction and then his (perhaps irredeemable) public image. 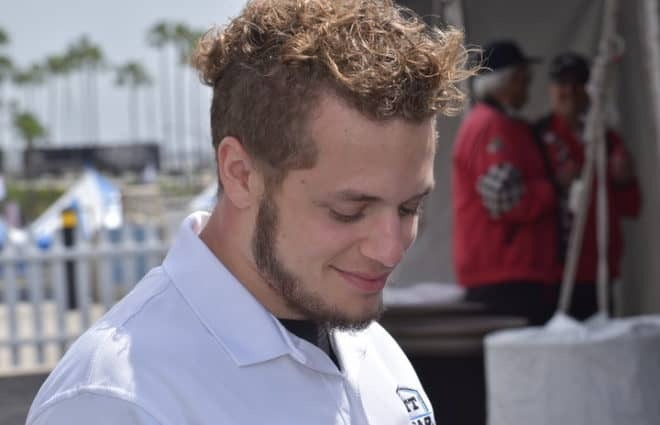 The CEO of the largest racing series in North America spent this past Sunday evening (Aug. 5) in a Long Island jail cell. Chew on that. Early signs, though, point to France having an opportunity for a second chance. Since Monday, two distinct groups have emerged in the aftermath of the France debacle. 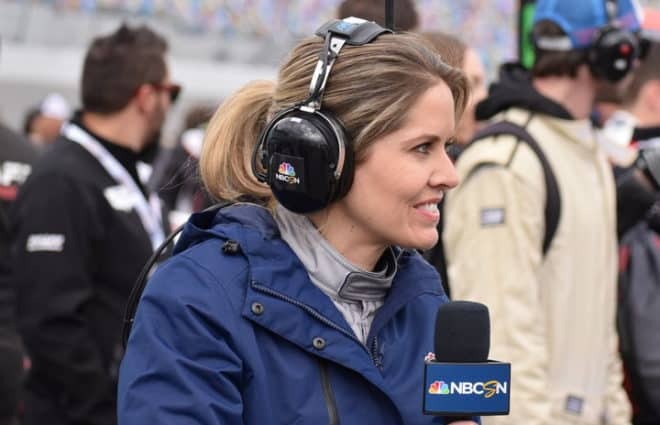 The stronger one includes Monster Energy NASCAR Cup Series car owners; calls with Frontstretch writers and myself made clear they’ll rally around their CEO. I’m told no separate Race Team Alliance meeting was held for crisis management; instead, several came out Tuesday to wave the green flag of support. “At this point in time, NASCAR needs friends and people that will help,” added Speedway Motorsports Inc. Chairman Bruton Smith. Those words, while supportive of 73-year-old replacement Jim France, hit just the right notes to leave a door open for Brian’s return. Car owners appear resistant to the idea of permanent change; instead, there’s been a rally-around-the-flag effect. Any dissenters are simply… staying silent. The drivers appear more ambivalent. Tommy Joe Martins and Justin Marks called for action. Both men mixed frustration with a desire for change. But it’s important to note that Martins is known for being vocal, and Marks — a part-time driver — doesn’t have much to lose by voicing his opinion. The CEO of #NASCAR…A DRIVING SPORT…can’t get arrested for a DUI. It’s time for someone to step up to the plate. It’s time for change. Kyle Larson was among those who liked Marks’ post. Other drivers, like Kevin Harvick, liked this tweet from Austin Theriault. Sometimes the worst possible situations bring along the best changes and a new direction. Let’s hope this is one of those times. Those words mark a subtle difference for the few drivers speaking out Tuesday, Aug. 7. Change without support, of course, are two separate frames of mind. And rest assured, any public comments from the driving corps were slanted more toward supporting Jim than openly rooting for Brian’s return. This disconnect is not surprising; France’s virtual absence from the spotlight in recent years leaves him with little-to-no relationship with the actual drivers racing on the grid. Declining ratings and attendance affect drivers the most in the short term, too. They affect the purse collected, future sponsorship contracts and more. Owners, tracks and NASCAR itself benefit from a more healthy stream of television money. It’s the money everyone is concerned about, power players realizing corporations are quaking in their boots over what they’ve witnessed. Important questions are being asked in the boardrooms of Fortune 500 companies giving millions to be the official X of NASCAR. Every source I’ve talked to, every NASCAR reporter writing this week, may not be surprised at France’s latest flub at absentee CEO. But that’s not the understanding some of these companies had. Now, they’re asking exactly who is their money going to? Who is guiding the sport’s future direction amid a pages-long list of future red flags? What changes (including a potential sale) will happen, and how will it affect their investment? So far, those questions are met with – silence. Brian is nowhere to be found aside from his private statement and there’s no indication as to when he’ll turn up once again. In the short-term, both camps do have faith in Jim France. While not the new-blood option some might have cared for, he brings both experience and understanding to the role. 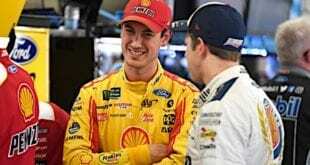 Most importantly, he’ll be attending this weekend’s race at Michigan International Speedway, a basic item on the CEO checklist that was often Brian’s biggest weakness. I wouldn't say he's the fix-it guy. And he's not take charge. He barely talks. But no one is more respected. He's the stability guy. They need that. But the strong, silent type is directly opposed to what NASCAR may need for recovery. For decades, Bill France and Bill France Jr. ran the sport with an iron fist. 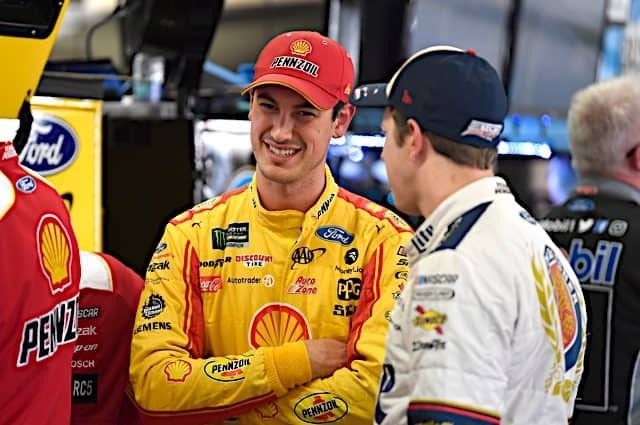 Their way or the highway may have frustrated some during their tenure, but no one could argue with NASCAR’s explosive growth. In recent years, we’ve seen the type of cracks the dictatorial-style leadership of France and France Jr. would never allow. 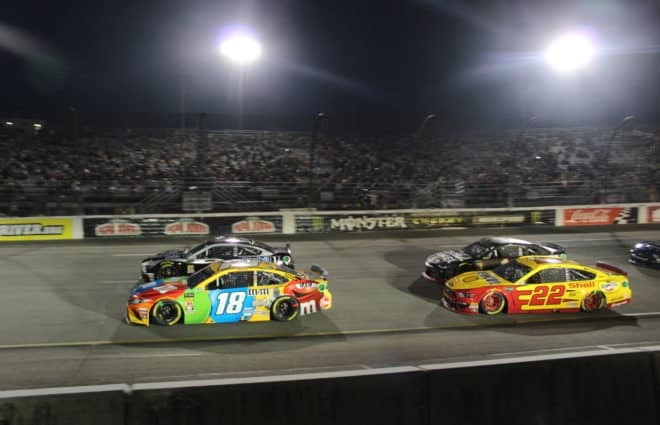 The battle over NASCAR inspection has cars failing on average every three weeks; drivers and teams, including this year’s Big Three of Kevin Harvick, Martin Truex Jr. and Kyle Busch, appear undeterred by the consequences. Meanwhile, increasing unification within both the RTA and Driver’s Council put more voices at the table. There’s no shortage of people that want to fix the sport; right now, they just have limited power to do so. 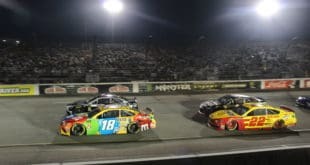 Owners may have their charter system, the closest thing NASCAR’s had to franchising, but they don’t have an ownership stake in the sport itself. And the drivers? They’re athletes, not business leaders. Then there’s also the little issue of a sale. The sport was undergoing valuation in recent months; a CEO’s misstep may have hurt the value by millions. Will this move accelerate the sale, and will NASCAR finally be forced to go public about it? Can France’s road to recovery, whatever that may be, somehow be spun into a positive? Silence doesn’t give us any answers. So until someone within the France camp speaks up, this story takes on a life of its own regardless of how much Brian was actually involved in day-to-day operations. COO Steve Phelps and Vice President Steve O’Donnell have done respectable jobs, but neither has full decision-making power as king of the castle. Over the long term, who’s in charge? It’s clear this week the answer has been murky for most of France’s 15-year tenure atop the sport. And now, the sport hits a critical juncture; as Jeff Gluck aptly put it last week, different factions were already firmly divided. Wildly different opinions have led to public criticism; their contentious debate won’t be sidelined with silent leadership. Where Sabates has a point in sharing blame is not one person yet has told me they’re surprised over France’s addiction woes. In a way, we can all look back and see it. Remember the sweating during the Homestead-Miami Speedway press conference in 2016? The bizarre NASCAR awards banquet last year in which Truex was tossed his championship ring? In a sense, it feels like so many were enablers. France was an absentee CEO with a problem; perhaps it was addressed in private, but no one had the guts to call it out in public. The ship was led astray with a rudderless leader while everyone else did their best to pick up the slack. That extra effort is commendable, but players giving 125 percent can’t make up for no head coach. Otherwise, players would eventually start fighting for all the power themselves. Someone has to lead. Can you imagine Apple without a CEO? How about Facebook without Mark Zuckerberg? There’s got to be a point person steering the ship managing long-term direction and focusing all those positive ideas into a coherent plan of action. Silence left untreated is a killer. The key now is who decides to speak up and fill the void. ALL the signs were there – -and ALL of the enablers ignored them. Brian so LUUUVED and cared about the “TOY” he inherited – – he sold his financial interest in it — and basically stayed away as much as he could – – evidently – had “OTHER” things to do ?? And here most of us were wondering why meetings with prospective series title sponsors weren’t fruitful. If BZF was an active participant in those meetings, it’s no wonder why there were no agreements reached. I’m sure if BZF was “on” for those meetings, it wouldn’t take much for a prospective sponsor to see that the organization was being led by a drunk/drug abuser and to walk away. We could see it and we weren’t even active participants in those meetings. 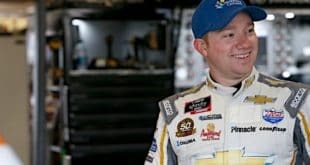 If BZF is truly gone from the leadership role, it would be in the best interest of NASCAR to get a stable leader in place (whether it’s temporarily or permanently) and publicize the hell out of it. They might actually get some sponsors to take a second look. Don’t like where all this is headed. Pretty close to having fire sale on all my collectables. Dale Sr., Rusty, Mark Martin autographed stuff anyone? He needs to be treated just like a driver, crewperson or NASCAR employee that fails a drug test. Suspension and the recovery program set up by NASCAR. No better, no worse. People are not surprised that this happened to BZF!! How come SPRINT, MONSTER ENERGY, CAR MANUFACTURES, CAR OWNERS, DRIVERS, NBC or FOX never insisted that he be subjected to a drug test? It could of saved him and NASCAR from this tragedy, maybe. The early reactions are predictable: The car owners want a league to race in. NASCAR is main moneymaker for ISC and SMI. The drivers just want to keep their rides. Therefore, I did not expect more than the “thoughts and prayers” statements concerning BZF’s recent arrest. The pressure reform at the top of NASCAR will come is from the sponsors, the institutional investors in ISC and SMI and the TV partners. For these entities, NASCAR participation is strictly business and a matter of ROI or TV ratings. For the very near term (a year or so), I expect these parties will give Jim France time to take the helm and try to get NASCAR back on track. And if Jim and Lesa are smart, they should temporarily remove the “For Sale” sign on NASCAR until this crisis blows over. But trying to bring Brian back to his old job after a quickie stint in a celebrity rehab clinic will probably a non-starter. I hope we hear from Jim France at Michigan this weekend. Everyone deserves some words from the top to calm the situation. I agree with Sabates that NASCAR and Brian France aren’t totally to blame for the sport’s woes. The Track owners, the team owners and others all have their share. It was ISC and SMI that decided 1.5 mile tracks were the way to go. It was SMI that sued ISC and NASCAR resulting in the deathnail to Rockingham and taking the Southern 500 from Darlington. It was the car owners who grew fat on sponsorship $$$ during the boom and started hiring armies of engineers, blowing budgets out of the water. However, some it is just the unstoppable march of time. The racing on intermediates got worse because people got smarter and learned how much speed could be gained with aerodynamics. That’s a genie you can never put back in the bottle. Going forward, Brian cannot comeback. I hope the sponsors, manufacturers and TV partners will put pressure on Daytona to ensure that. The worst part is this kills the momentum from Sunday. This was one of the best race weekends of the year, with a popular first time winner in an exciting race. I was at the track and the place was rocking all weekend. I hope Brian gets some help, but he can’t serve as leader anymore. The Glen is usually a pretty good race, but I dont think one race brings any momentum to the sport. BZF didn’t help things imho but his loss wont effect them either way. At least it will be something for people to talk about, sad as that is to say. and unless you’ve been living under a rock in outer Mongolia, you know nothing will be mentioned this coming weekend during all the pre-race hoopla. The third generation of a family owned business buries the business 80% of the time. I worked for a multi-million landscaping business in San Diego, family owned and with an outstanding reputation. First choice for several major builders. Five years after the third generation took over control my paychecks started bouncing. What is becoming more clear in the aftermath of little Brian’s breakdown is that Brian was really just a figurehead leader with little to no personal stake in NASCAR. If that is the case, then there is little reason to expect any substantial change. Unless, that is, the behind the scenes leadership decides to scapegoat Brian and use this as an excuse to change course. Time will tell. As always its important to remember that these public statements are meaningless. The key people have a vested interest in presenting an image that all is well and business will continue as usual. 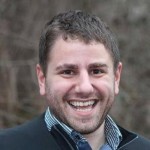 While it seems likely that BZF will be quietly put out to pasture, it seems unlikely to result in the dramatic turnaround that his detractors expect. But we shall see . All the “partners”, also referred to as “stakeholders”, are not going to bite the hand that feeds them. They are all in it together and will circle the wagons to protect their interests. The advertisers are in the same bucket and will not do anything to prejudice their investments. NA$CAR is more and more like Hollywood and continues to circle the bowl. It was plainly evident at the last annual banquet that something is wrong with Brian. He introduced champion Truex Jr and most popular driver Earnhardt Jr and couldn’t get off the stage fast enough. He handed off the box with the ring to Truex like a quarterback handing off the football to a running back then getting out of the way as fast as possible. 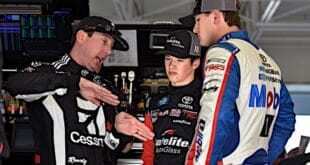 Truex was obviously bemused by Brian’s action.